Dr Emily Colvin, Postdoctoral Fellow at The Bill Walsh Translational Cancer Research Lab, Kolling Institute, completed a BMedSc with First Class Honours in Physiology in 2005. In 2006 she was awarded an Australian Postgraduate Award and commenced her PhD in the Pancreatic Cancer Group at the Garvan Institute which focused on investigating aberrations in embryonic signalling pathways in pancreatic cancer. Her PhD work involved validating biomarkers of potential clinical use in large cohorts of pancreatic cancer patients, this contributed to a publication in the journal Gastroenterology. During her PhD, she also collaborated on several other projects with researchers and clinicians from the Pancreatic Cancer Group as well as researchers from the Victor Chang Cardiac Research Institute resulting in twelve publications, including Nature, the Journal of Clinical Oncology, and Cell Stem Cell. Dr Colvin was awarded a Research Scholar Award from the Cancer Institute NSW (CINSW) in 2007 and then in 2009 received the NSW Premier’s Award for Outstanding Cancer Research Scholar of the Year. After completing her PhD, in 2011 she commenced her first postdoctoral position in the Hormones and Cancer Division of the Kolling Institute, University of Sydney. 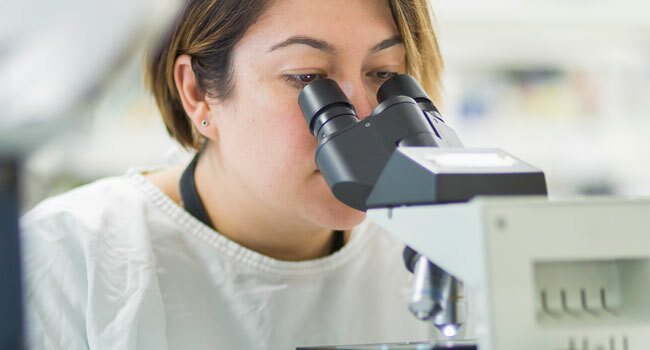 Emily successfully obtained her first independent research grant as an early career scientist from University of Sydney with the aim to investigate the role of the tumour microenvironment in ovarian cancer. In 2012, she then went on to receive a CINSW Early Career Researcher Fellowship as well as a project grant from the Cure Cancer Australia Foundation co-funded with Cancer Australia as part of the Priority Driven Collaborative Cancer Research Scheme.